Matt Jackson has just come out with another anthology of travel stories. 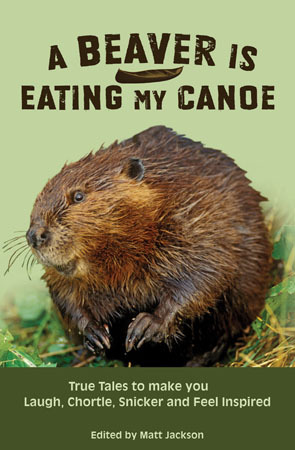 This one titled: A Beaver is Eating My Canoe: True Tales to Make you Laugh, Chortle, Snicker and Feel Inspired, features my story of cycling from Dawson City, Yukon to Tuktoyaktuk, NWT in the wintertime. That trip doesn’t sound like a barrel of monkeys to you? It wasn’t. But Gary, Ray and I found that at minus 40° you can only cry for so long before the icicles dangling from your eyelids make you look downright hilarious. If you’re thinking about cycling the Dempster highway in the middle of winter, or are thinking about maybe not doing it, but saying that you did, I definitely recommend this book. Look for it in stores this holiday season! You are currently browsing the Bicycle Forest Blog weblog archives for December, 2008.